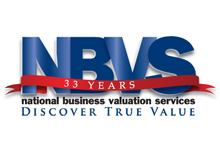 National Business Valuation Services, Inc., Brian Wendler and their work product comply with IRS definitions for “qualified appraisers and appraisals” as outlined in the Pension Protection Act of 2006. Certified Machinery & Equipment Appraisals are prepared to the rules and standards of the Uniform Standards of Professional Appraisal Practice (USPAP). This entry was posted on Tuesday, February 2nd, 2016 at 4:36 pm	and is filed under appearances, News and Updates. You can follow any responses to this entry through the RSS 2.0 feed. You can leave a response, or trackback from your own site.